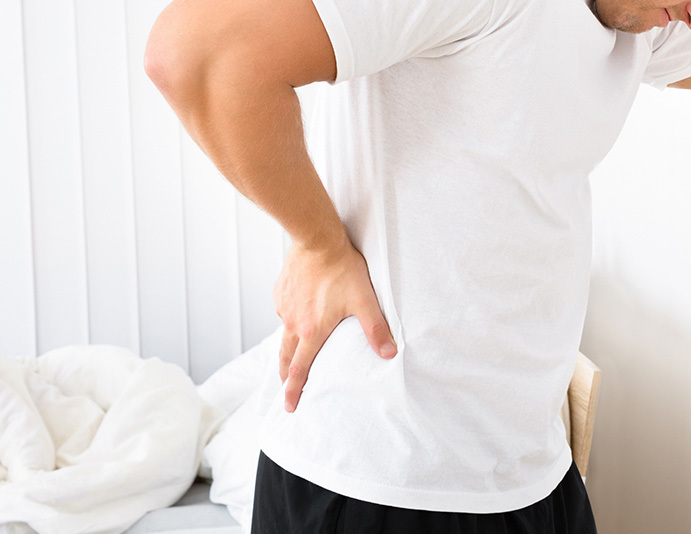 Hip pain is a common health complaint that can develop at any age and from a number of injuries, conditions, and ailments. Moreover, the hip joint is an intricate structure that can cause different kinds of pain depending on where the damage is present. For example, pain that is felt on the inside of the hip near the groin usually indicates problems within the hip joint itself. Pain that is experienced outside the hip near the upper thigh or outer buttock may mean problems with the soft tissues and ligaments around the hip joint. Some of the most common causes of hip pain include injuries (i.e. dislocation, hernia, fracture, etc. ), arthritis (i.e. osteoarthritis, rheumatoid arthritis, psoriatic arthritis, etc. ), and pinched nerves (i.e. sciatica, sacroiliitis, ligament tear, etc.). Although less common, hip pain may also be caused by cancer, avascular necrosis, and osteoporosis. At AFC Physical Medicine & Chiropractic Centers, our team may recommend physical therapy to help minimize pain and maximize function.